Palliative Care Australia (PCA) has appointed a new CEO following the decision of its former leader to step down in November after four years at the helm. 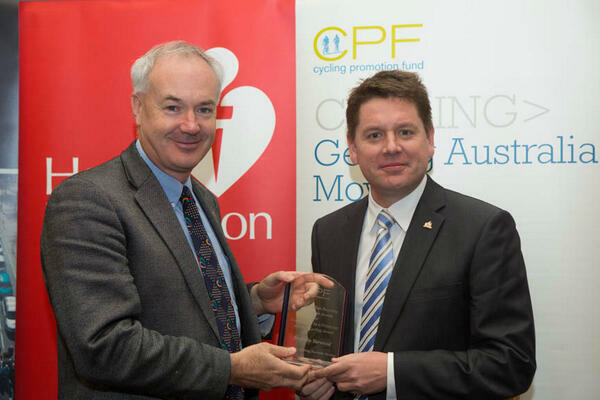 Rohan Greenland comes to the PCA from the National Heart Foundation, during which he worked as the organisation’s National Director, Government Relations and, in 2014, General Manager for Advocacy. Prior to that, he held roles as Director, Public Affairs at a medical association and as political advisor to national and territory ministers. PCA Board Chair, Dr Jane Fischer, said Greenland will be a valuable addition: “Rohan has a clear vision and passion for improving palliative care in Australia. I am sure his extensive government relations and public health advocacy will be an immense asset. Greenland has served as a Vice-President for the Public Health Association and has delivered the Basil Hetzel Oration at its annual conference. He served as President of the Asia-Pacific Heart Network and as member of the World Heart Federation’s Expert Advocacy Group. Greenland said he is looking forward to taking on the challenge of promoting palliative care as a human right for all Australians to drive improvements in quality and practice. He has previously served on the boards of ASH Australia, ACT Cancer Council, ACT Health Promotion Foundation and Focus ACT, a charity providing accommodation for people with intellectual and physical disabilities. “I will work closely with our members, the palliative care sector, the community and governments to promote palliative care as a national health priority,” Greenland said.